I kicked off the day at the heart of the city to catch some sun rays. I was absolutely stunned by the amazing ocean views and retro summer vibes. The beach was absolutely gorgeous as it was filled with colorful umbrellas, roaming tourists and vibrant lifeguard stations. I sure had a fun time photographing this area. The colors of these towers standout at any distance: orange, magenta, turquoise, yellow, sky blue and much more. The temperature of the water was also very refreshing. I love that the water in Miami beach is warm enough to swim in all-year-round. For me, this beach brings a whole new meaning to an afternoon dip. After a few hours of R&R, I was off to take a self-guided tour through the historic Art Deco District. I really enjoyed walking along Ocean Drive and seeing all the intricate designs and whimsical colorful architecture. 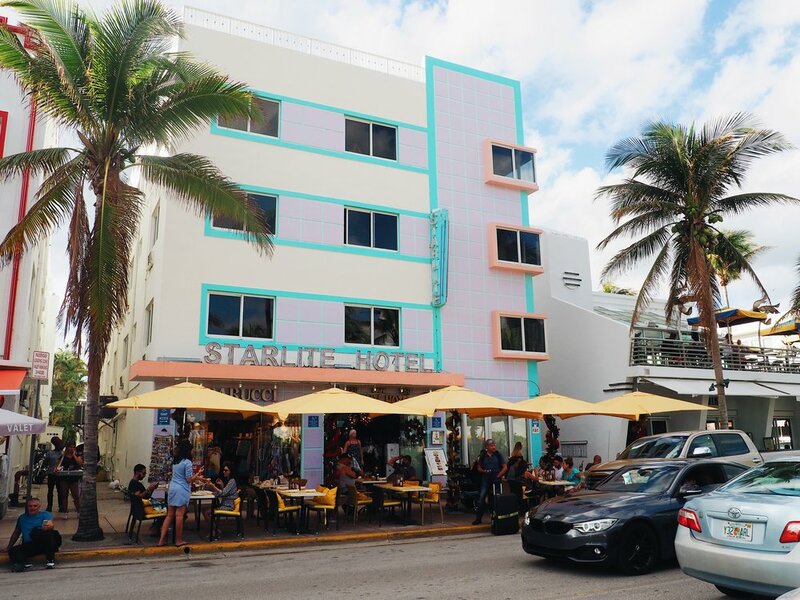 From pastel buildings to vibrant retro décor, this place is a must-see in Miami. My favorite building was the Edison Hotel on 960 Ocean Drive and 10th Street. The hotel had a beautiful Mediterranean style design, plus a vintage Chevrolet Bel Air parked right in front of it. 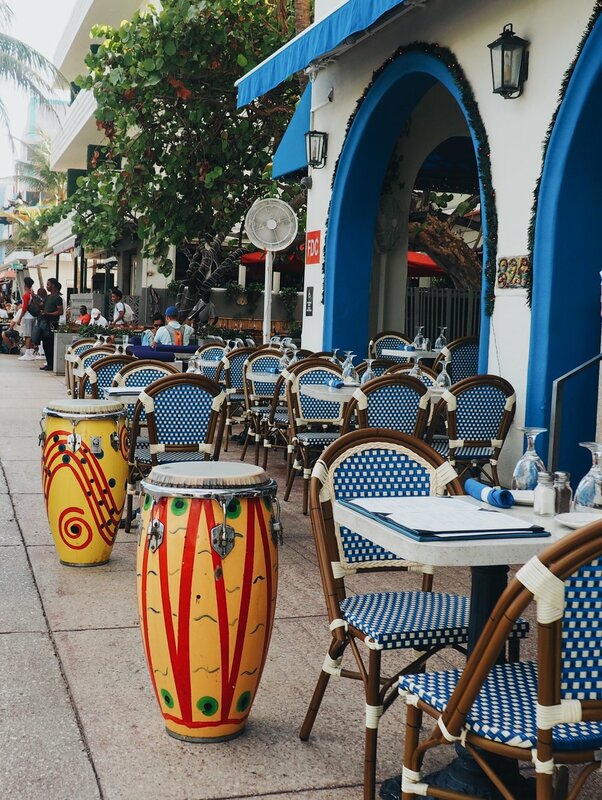 To top off my day in Miami, I dined at one of the outdoor cafes called, Columbus Restaurant. The food was pretty good, but the restaurant workers were a little deceptive. They advertised 2 for 1 happy hour but never showed me a menu with prices for food and cocktails. A gratuity of 18% for two people was also automatically added to the check and the server didn’t include the happy hour discount he promised. This place was definitely shady. My dining experience was a little disappointing, but I wasn’t going to let this affect the rest of my stay. I spent my last hours exploring the white sandy beach, taking photos and watching the cruise ships head out to the sea. 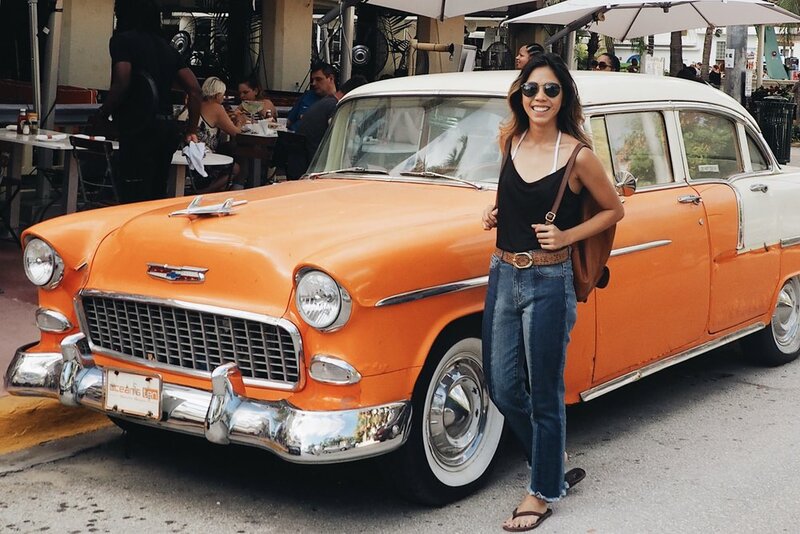 Even though I didn’t get to stick around for the nightlife, I was still ecstatic to have tasted the good life in South Beach, Miami. Have you ever been to SoBe? What was your experience like? Comment in the section below!